It is not every day you get to win Norfolk as a prize. The only drawback is you are only allowed to keep the memories. Yet a day’s safari enjoying the wonderful landscapes and wildlife near where I live is surely one of the most innovative awards you’ll encounter in any writing competition. It comes from Rialto, which is the nation’s most regarded literary magazine (ok little bias there! ), although the publication had rather more modest origins. It began life in a Norwich bar, when a group of friends took a chance on creating another poetry journal. Against considerable odds and with a little help from the proceeds of a jumble sale, their offspring flourished and 33 years later one of that initial founding group, Michael Mackmin, is still at the helm as Rialto’s editor-in-chief. Even in the earliest stages The Rialto seemed destined for great things. Among the writers coaxed into submitting material for that first ever A4-format issue were the Canadian novelist and subsequent Booker prize-winner Margaret Atwood, as well as Norfolk’s own laureate the late George Barker and, at that time, a very little-known writer called Carol Ann Duffy. That last link remains unbroken today, because Britain’s first woman laureate is now a staunch ally and official advocate for Rialto. 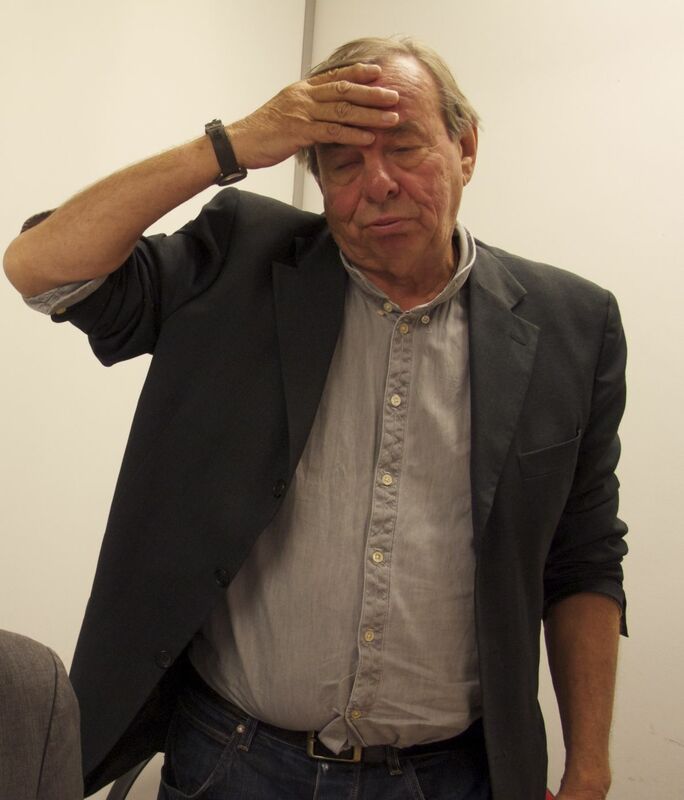 Three years ago Michael Mackmin embarked on another literary adventure when he teamed up with his Norwich-based friend (and my good friend) the poet and RSPB officer Matt Howard to develop a competition that has fast become a fixture in the world of British verse. 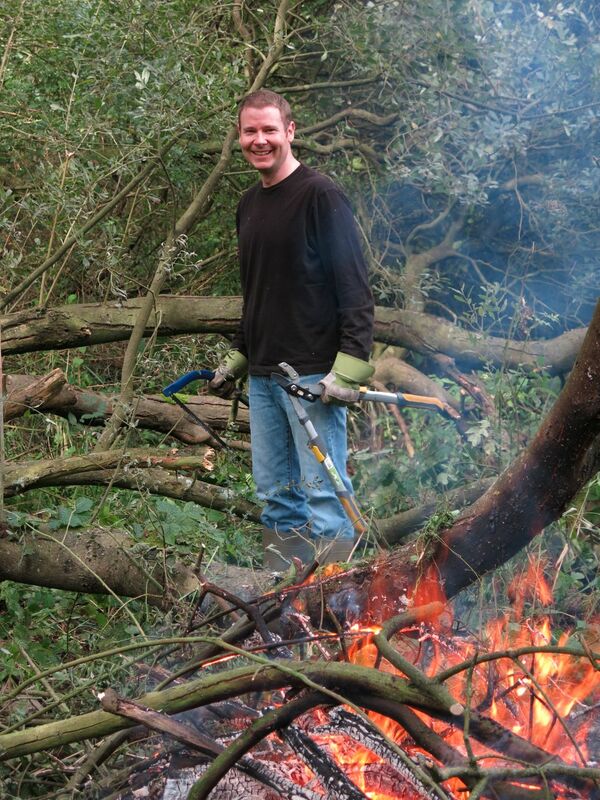 Poetry and conservation are not perhaps the most obvious bed-fellows, but Michael and Matt are as enthusiastic for wildlife as they are about words. These partners in rhyme fused together the two ingredients so that, as they put to me so beautifully, ‘we can turn the writer’s creative energies into money that helps wildlife and puts poetry at the lug end of a conservation spade’. Birds featured strongly in last year’s crop of winner’s, with the first prize going to ‘Kites’ by HarperCollins and former-Guardian exec Colin Hughes, a rhythmically complex and witty evocation of the scavenging fork-tailed raptors that thrive in the city slums of India. (I tried to find a link for Colin’s poem online so you could read it, but track it down if you can. It’s a fabulous winner.) ‘Kites’ was first choice of the last judge, poet and novelist Ruth Padel, who strikes me as a particularly appropriate figure to be associated with the Rialto competition, given her impressive environmental work and the fact that she is also the great great granddaughter of Charles Darwin! Birds are always popular subjects among the entries but they’re not the only part of nature to be explored. To date the subject matter of more than 6000 poems from over 20 countries has been enormously diverse, in accordance with the ‘wide interpretation’ of nature that’s explained in the competition rules. So far all life has been there, from slugs to whales and from bees and spiders to entire landscapes. The winner when I was judge was a poem on a large hairy, slightly scary arachnid in Pat Winslow’s ‘East Sabino Sunrise Circle – The Visit’. 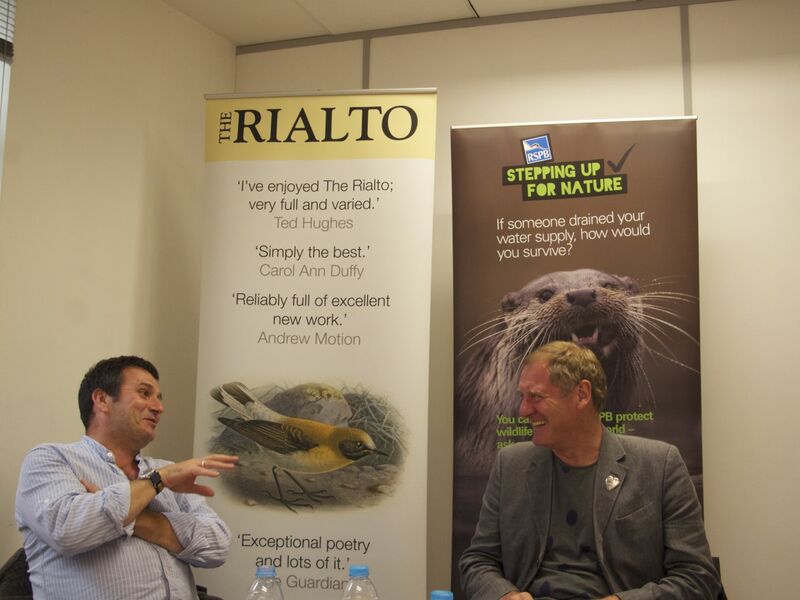 To date the Rialto nature poetry competition has raised in the region of £27,000 to fund important conservation work. It’s a creative scheme of which Norfolk should be very proud, yet its founders are also proud of Norfolk – hence their unusual idea for one of the prizes. The stock reward for such poetry events is cash and the top prize this year’s round, which has a closing date for entries on 1 March, is £1000 (See Rialto’s website for full details: http://www.therialto.co.uk/pages/nature-poetry-competition-2014). The second and third prizes are respectively £500 and a week’s course at the wonderful National Writers’ Centre of Wales at Ty Newydd. Yet for the last three years I’ve been privileged to accompany one of the competition’s other finalists, along with the Rialto team, in search of Norfolk’s natural riches. The first winner of this al fresco award was the novelist and poet Naomi Foyle, whose poem I absolutely loved when I judged it with Andrew two years ago. But we did have experiences that were no less special: barn owls floating down the field margins in the mist and a late-winter short-eared owl quartering the marshes near Horsey Gap. 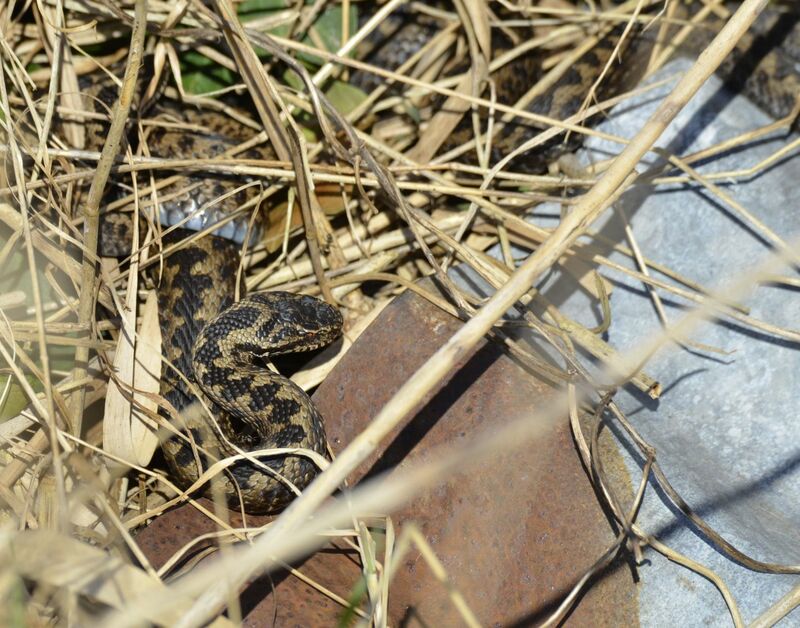 One moment I also remember when we took Colin out last year was the sight of two male adders sunning themselves on their little tin hibernaculum. They are wonderful creatures. Living poems really. It is in moments such as these that you appreciate how cultural riches are integrally entwined with place and nature. The land and the language are part of the same deep fertile soil. So go on get out your pencils and your coats and hats and even if you only come fourth I look forward to showing you the cranes this year. I promise it’s worth at least £1000 ….